Davies Craig Alloy 150 L/Min EWP (12V) Combo Kit (8970) New Model! 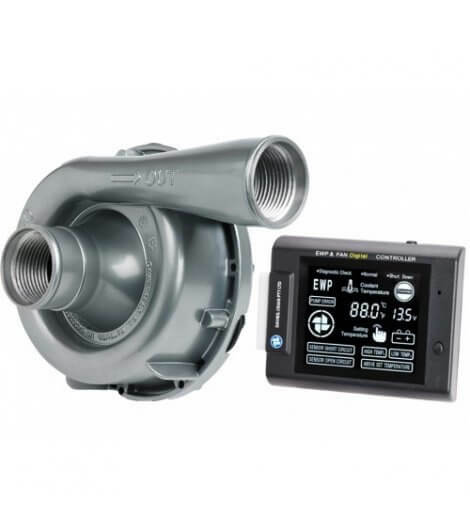 Muscle up your engine cooling system with the Davies Craig EWP® 150 alloy Electric Water Pump and the LCD EWP®/Fan Digital Controller. Like all EWPs, this advanced unit is designed for remote mounting in the engine bay to satisfy those higher horsepower, turbocharged, supercharged and ‘worked’ engines which develop excessive heat. your vehicle’s drive wheels and improves coolant temperature control. The EWP®150 is a universal, do-it-yourself, easy installation fitment to engines up to seven litres. By removing the parasitic power losses of belt-driven water pumps, the EWP®150 releases up to 10kW (13hp) of extra power, increased torque and fuel savings. Combine it with the LCD EWP®/Fan Digital Controller and the pump continues to run after you’ve switched off, eliminating “heat soak” and extending engine life. 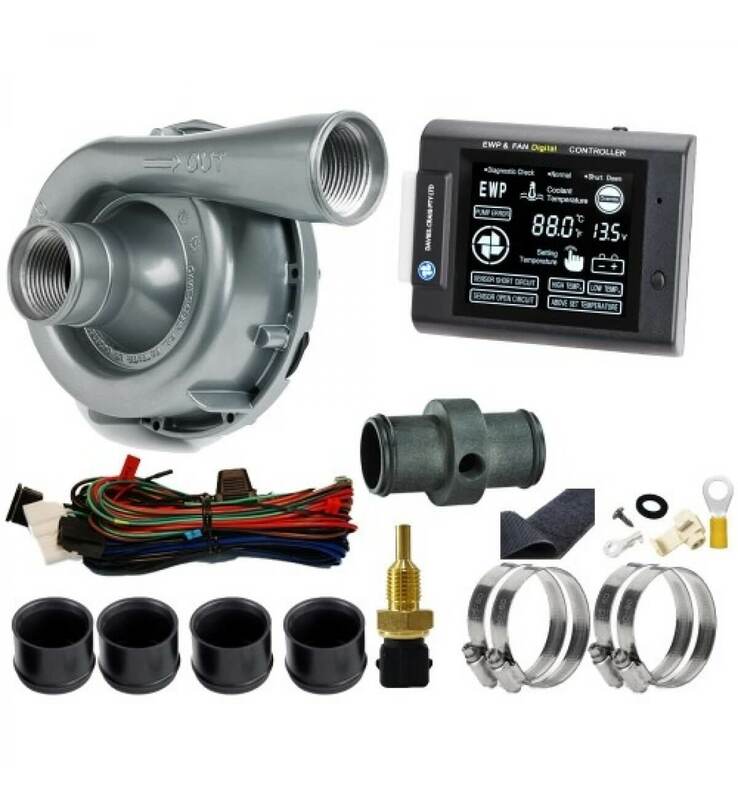 The EWP®150 and LCD EWP®/Fan Digital Controller Combo Kit is the most economical way to increase horsepower and save on fuel consumption whilst caring for your engine. The updated LCD Digital Controller how has two specific functions. This unique Controller will now manage the operation of the EWP® by varying the speed of the EWP® in response to the temperature of the engine and manage control of your electric engine fan. The Controller has a push-button on the facia panel that offers target temperatures Singular degrees from 40°C (104°F)to 110°C (230°F).